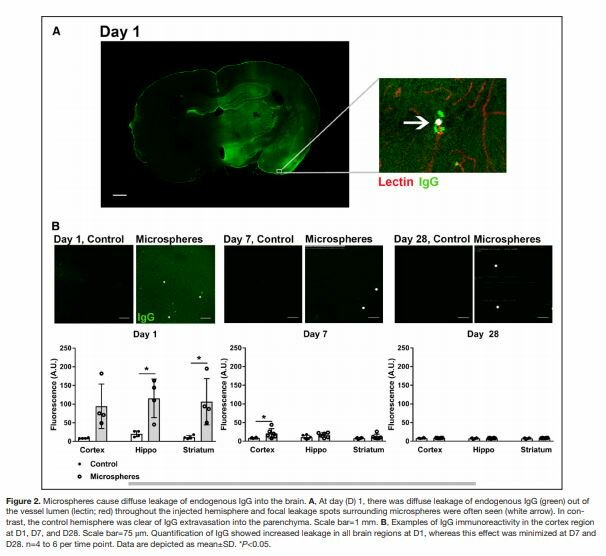 In their current article in Stroke, Won and colleagues have utilized a mouse model of collagenase-induced ICH to investigate ICH in the setting of dabigatran and warfarin use via 3 main aims: to establish an ICH model in which contrast extravasation (CE) can be quantified by dual energy CT (DECT); to characterize CE in ICH occurring during warfarin and dabigatran anticoagulation; and to verify PCC as a useful agent in ameliorating hematoma expansion in warfarin associated ICH. Authors found that DECT picked up on CE that hadn’t been visualized on non-con CT; that mice in the warfarin group had longer active bleeding with larger bleed sizes and worse symptomatic outcomes than those in the dabigatran or control groups; and that PCC normalized INRs and decreased bleeding size/severity in warfarin-treated groups. Results in this study seemed to echo prior studies that showed decreased rates of ICH with patients treated with dabigatran vs warfarin. There are some limitations to translating the results of this study to human populations that need to be considered however, such as the levels of radiation/contrast utilized to measure CE, the method of ICH induction, and the recurrent question of how INR levels compare to dTT levels of warfarin and dabitatran respectively. That being said, investigating ways to better quantify active bleeding in ICH, and to have animal models in place that can be utilized in the development of potential antidotes are critical as NOAC use becomes more widespread. Regardless of how you feel about the NOACs, the future is now, and more and more patients are showing up in the ER taking them. As data continues to accumulate, the true risks and benefits of these medications will play out. While it does, wouldn’t it be fantastic to have methods for rapid monitoring and drug reversal when needed? Does Being of Chinese Descent and Overweight Protect Against Subarachnoid Hemorrhage? Zhang et al. sought to determine the incidence and risks of subarachnoid hemorrhage (SAH) in China. They performed a prospective, case-control study of Baotou population in Inner Mongolia, China. They determined the incidence of SAH to be 6.2 per 100,000. Using multi-variable analysis, they also determined the relative risk (RR) of SAH in smokers to be 2.31, while the population attributed risk (PAR) for smoking, hypertension and low income were 18%, 36% and 59%, respectively. The authors cite a study that estimates the worldwide incidence of SAH to be 9 per 100,000. This is interesting because one could interpret their results to reveal that being of Chinese descent imparts a 50% reduction in the incidence of SAH. Sadly however, the authors also admit that the population studied is not a true representation of the general Chinese population, for example, they observed a wide disparity in tobacco use between their population and the national average. Furthermore, the authors found that being overweight imparted protection against SAH (RR 0.55). This finding certainly puts into question our understanding of SAH pathogenesis versus the generalizability of their patient population. I, for one, have no plans to endorse weight gain to lower the risk of SAH in my patients of Chinese descent. Do All Ischemic Stroke Patients Benefit from Ultra-Early tPA? We know that earlier treatment of ischemic stroke with IV thrombolysis results in better clinical outcomes for patients, even when looking at parameters such as intracranial hemorrhage and in-hospital mortality. Strbian et al looked at ultra-early intravenous thrombolysis (delivery of tPA within 90 minutes of symptom onset) and reported that patients benefited differently based on their NIHSS. Outcomes were measured at three months with an excellent outcome defined as a modified Rankin Scale of 0-1. They found that patients with an NIHSS of 7-12 had an excellent outcome when they received ultra-early IV tPA, but that patients with an NIHSS of 0-6 or greater than 12 did not show the same benefit. Why didn’t patients with an NIHSS greater than 12 show an excellent outcome with ultra-early tPA? Patients with higher stroke scale symptoms probably have larger stroke syndromes with proximal vessel occlusions and in these situations, tPA is not as effective. But, also likely is that these patients did improve with ultra-early tPA, but not to the degree of reaching an mRS of 0-1. The patients with an NIHSS of 0-6 did not have an excellent outcome from ultra-early thrombolysis when the outcome was measured as mRS 0-1. However, when the 3 month outcome was set to an mRS 0, these patients did indeed benefit from ultra-early thrombolysis. So perhaps the take-home message from this paper should be that our clinical measurement tools are limited in their ability to grade improvement, rather than the suggestion that ultra-early tPA only helps patients with a certain stroke severity. The authors’ conclusions seem to be an artifact of their analysis – had they looked at any improvement in the mRS, rather than exclusively 0-1, they probably would have demonstrated benefit across all NIHSS groups. 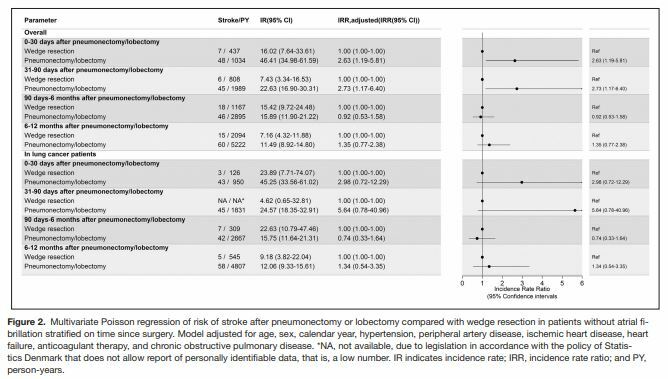 Peters SAE, Huxley RR, Woodward M. Smoking as a Risk Factor for Stroke in Women Compared With Men: ASystematic Review and Meta-Analysis of 81 Cohorts, Including 3,980,359 Individuals and 42,401 Strokes. Stroke. 2013. Are women at a higher risk for stroke if they smoke? Prior studies showed women have 25% greater risk of smoking related heart disease compared to men, but we did not know if there was any gender disparity in strokes and tobacco use. To address this, Peters, Huxley, and Woodward performed a pooled analysis of 81 population-based cohort studies, comprising ~4 million patients and ~42,000 strokes. The major finding was that there wasn’t actually any gender difference between fatal and non-fatal stroke and current smoking. Among a sub-group, “Occidental” (USA, Europe, Australia, New Zealand) women may have 10% increased stroke risk compared to men. The authors suggest the lack of disparity among Asian cohorts may be from underestimates because (1) it is too early to see harmful effects in regions where women more recently have become smokers (2) overall rates of smoking are low, and (3) mis-categorization from cultural inappropriateness of identifying women as smokers. Personally, I interpret the equal stroke risk in the whole and Asian cohorts as reason to ensure women and men are being equally targeted in smoking cessation and stroke prevention campaigns, especially in low- and middle-income countries where current health policy might include a workplace ban or tobacco tax and education that might not directly affect women. Future studies should focus on measuring the impact of smoking cessation programs on reducing stroke to identify if any gender disparity emerges on the treatment end. I wonder if that is why “Occidental” female smokers showed some higher risk (after some statistical magic), since these high income countries have had smoking cessation programs in place for years. 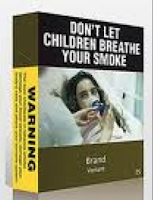 Attention must be paid to these issues in other LMIC regions as the WHO/UN have a global goal to reduce tobacco consumption by 30% and non-communicable diseases (including stroke) by 25% by 2025. Advances in MRI technique, software analysis, and increases in field strength have allowed researchers to perform detailed volumetric analysis of the brain. Since the 19th century, when Waller started lesioning rat brains, we have known that cortical damage, such as ischemic stroke, leads to degeneration of connected sub-cortical axons, but more recent research has shown that the neuron is equally dependent on its axon, as are neurons in remote locations. The study by Chao Dang et al. looks at fifteen patients with acute subcortical unilateral infarct in the anterior circulation who underwent structural MRI and clinical assessment 3 times over a 12-week period and compared the results to controls. They used voxel-based morphometry (VBM) to quantify changes in global GM volume and then picked specific volumes of interest (VOIs) related to motor function and compared changes in VOIs to scores on two measures of patient functional outcome, the Fugl-Meyer scale score and the Barthel Index. The results of the changes in global GM volume were mixed, but the overall trend was a decrease in GM in the ipsilesional side and increase on the contralateral side. Three VOIs had a statistically significant change, with a decrease in the ipsilateral SMA and contralateral insula, and increase in the contralateral SMA. Both the SMA decrease and increase were correlated with improved outcome. It is not clear why the decrease in ipsilesional SMA GM would correlate with better outcome; and wouldn’t we expect patients who score higher on functional testing to have an increase in the contralateral SMA GM, as they were probably using that side more. The immediate clinical relevance of these findings is limited, but continued advances in this field should ultimately lead to some interesting trials involving novel rehabilitation techniques. Matrix Metalloproteinases (MMPs) are a family of > 20 zinc-dependent proteolytic enzymes that are thought to play a detrimental role in ischemic stroke. In this article, Inzitari and colleagues measured circulating blood levels of various MMPs and Tissue Inhibitors of Metalloproteinases (TIMPs) in patients with acute ischemic stroke, before and 24 hours after receiving intravenous tPA. Changes in the levels of MMPs/TIMPs were analyzed in patients who developed symptomatic intracerebral hemorrhage (ICH), death at 3-months, and those with poor outcomes at 3-months (mRS 3-6). After adjusting for clinical variables, they found that MMP9 among all MMPs was independently associated with death and symptomatic ICH. MMP9 changes also correlated with baseline, 24 hour and 7day NIHSS score. This is the largest series on MMP measurements in acute ischemic stroke patients receiving IV tPA, and adds to experimental data on the role of MMPs. Recent studies have suggested that the adverse effects of tPA may be mediated by MMPs, which increases the blood-brain barrier permeability by degrading components of the extracellular matrix and tight junctions in endothelial cells, resulting in ICH. MMP9 is the most widely studied, and its levels significantly correlated with infarct volume, stroke severity, functional outcomes, ongoing brain ischemia and development of ICH post thrombolytic therapy. Does the above literature have any research or practice implications? Can MMPs be used as diagnostic biomarkers for acute ischemic stroke? More importantly, can we use MMP levels to predict which patients might develop ICH after tPA administration? This is especially clinically relevant since tPA is the only FDA approved thrombolytic therapy for restoring blood flow in acute ischemic stroke. Combination therapies of intravenous tPA and anti-MMP agents might be a potential strategy to reduce or prevent hemorrhage associated with tPA, and maybe even extend the time window for thrombolysis. Inzitari et al hope that their study will encourage randomized trials of MMP9 antagonist co-administration with tPA. Merwick A, Albers GW, Arsava EM, Ay H, Calvet D, Coutts SB, et al. Reduction in Early Stroke Risk in Carotid Stenosis With Transient Ischemic Attack Associated With Statin Treatment. Stroke. 2013. Evidence from the SPARCL trial shows that high-dose atorvastatin reduces recurrent stroke rates when administered in the chronic setting, yet there are few studies showing reduced stroke rates with statin use in the acute setting – a time when patients are known to have the highest risk of recurrence. Patients with symptomatic carotid disease are particularly vulnerable to early stroke recurrence. Merwick and colleagues sought to determine if statin use prior to TIA onset correlated with reduced early stroke rates in those with and without symptomatic carotid stenosis. Remarkably, patients with carotid stenosis taking a statin prior to TIA had dramatically reduced rates of early stroke compared to those who did not (3.8% vs. 13.2% respectively at 7 days). In contrast, no significant difference in early stroke rate was seen with pre-TIA statin use in patients without carotid stenosis. While the authors did not have information on whether starting statin therapy early after TIA decreased early stroke rates in patients with carotid stenosis, the robust effect of pre-TIA statin use suggests this may be the case. This study lays the groundwork for future clinical trials to answer this and other related questions. It also reinforces the need for statin administration by primary care physicians for patients at risk even before significant carotid disease develops. Statins are no substitute for proven treatment like carotid endarterectomy in patients with symptomatic carotid disease. Nonetheless, if the results of this study are borne out in future trials we may one day be able to sleep better at night having our patients on statins while they await more definitive surgical intervention. Manawadu and colleagues present yet another interesting study about thrombolysis (with rtPA) in wake up ischemic stroke (WUIS). Outcomes of 68 WUIS patients (33 >80 years) who were thrombolysed >4.5 hours but <12 hours of onset of symptoms and 54 non-thrombolysed WUIS patients (21 >80 years) were studied. Selection criteria also included no or early ischemic changes in less than a third of MCA territory. Reference group (n=117) was patients >80 years thrombolysed within 4.5 hours of onset. In this prospective registry, baseline characteristics of patients >80 years and <80 years in both groups were similar. Atrial fibrillation and cardioembolic etiology was more common in >80 years. The decision to thrombolyse was based on physician’s judgment. Thromblysis outcomes in WUIS patients >80 years were better, both in terms of mortality and function (modified rankin score), than non-thrombolysed WUIS patients >80 years. Although selection bias is inherent in this design, the study does suggest that carefully selected elderly patients not only benefit from thrombolysis but do so even when time of onset in unclear. This shift in treatment paradigm from “time window” to “tissue-status window” whereby status of the brain tissue guides acute intervention rather than key historical points provided by patients or their relatives has potential to increase thrombolysis rate and, by extension, improve outcomes in patient population that is denied thrombolytic treatment based on current guidelines. Although, there isn’t enough evidence to justify routine use of this approach in treatment of acute strokes, this study highlights the importance of prospective large multi-center randomized controlled studies to further clarify the question of management of WUIS. This also suggests that being elderly doesn’t necessarily mean no or little potential to improve and that a certain age may not be appropriate exclusion criteria. Pathophysiology of intracranial hemorrhage remains incompletely understood entity. Clinical management, including blood pressure management is still under debate. Cerebral autoregulation in ICH was previously studied, mainly in the steady state, and it was found that it was generally not impaired, however, if impaired soon after the ictus, than it was predictive of poor clinical outcomes. In this study, Oeinck et al, aimed to investigate dynamic autoregulation during the acute stage of ICH and how it associates with clinical outcome. Over the 15 months, they followed 26 patients with ICH on days 1, 3 and 5, compared results with healthy individuals and recorded clinical outcomes. They used TCD measurement of the MCA flow velocity in the function of the BP obtained via finger plethysmograph and calculated phase reflecting rapidity of autoregulation and gain reflecting damping characteristics. Pulsatility indices were calculated as well. All patients were provided standard of care in the NICU and by the physician blinded of acquired data. Various anti- hypertensive, potentially vasoreactive drugs, sedating medications, mechanical ventilation, EVD, stereotactic puncture and drainage and intraclot thrombolysis were used when indicated. A correlation between low phase on day 5 and poor clinical outcome was established. It was also associated with large ICH volume and low GCS on day 1. Lower phase was also associated with lower blood pressure starting at mean ABP of 100mmHg. Gain was generally impaired, but was not associated with 90-day outcome. Academically very interesting, these results, in particular association between lower phase and lower blood pressure, make me wait for further clinical trials (such as the ATACH II) results even more anxiously, to try to answer out blood pressure managing dilemma. The field of endovascular treatment of acute ischemic stroke sustained a major blow on March 7th, 2013, when the New England Journal of Medicine published three prospective randomized negative studies (IMS-III, MR RESCUE, and SYNTHESIS) that showed endovascular therapy provided no benefit over intravenous t-PA or standard of care treatment. Many major stroke centers changed their practice based on these trials. However, most of that data is based on the use of the first-generation thrombectomy devices such as the Merci retriever and Penumbra System, while retrievable stents (“stentrievers”) are now preferred. The STAR trial, by Vcitor Pereira et al., is a single arm intention-to-treat analysis using the Solitaire™ FR stentriever in 202 patients with angiographically-confirmed large vessel anterior circulation occlusions treated within 8 hours of symptom onset. Crucial exclusion criteria were modified Rankin scale (mRS) ≥2, ASPECT score ≤ 6 points on CT, or < 5 points on MRI. The median NIH stroke scale score was 17 and 59% of patients also received IV t-PA. The primary endpoint was revascularization, defined as ≥TICI 2b of the occluded vessel after a maximum of 3 passes, which was achieved in 79.2% of patients. The secondary endpoint was a good neurologic outcome defined as a mRS of 0-2 at 90 days, seen in 57.9% of patients. Like other recently published data, the STAR trial suggests stentrievers result in higher rates of revascularization and lower rates of complications. The secondary outcome, a mRS of 0-2 at 90 days, of 58% is significantly higher than previously reported data. For comparison, the same result in SYNTHESIS, IMS-III, and SWIFT, which also used Solitaire, was 41%, 42%, and 37%. That’s what happens when you cherry-pick patients with small areas of infarct on imaging, premorbid mRS ≤2, and only anterior circulation occlusion. As a result, this trial does not change management, but it does wet my appetite for upcoming prospective randomized trials comparing second-generation stentrievers to IV t-PA.